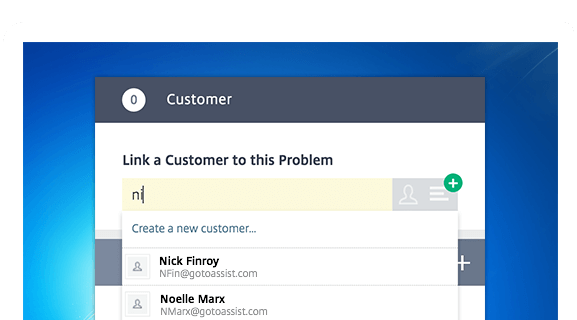 Track problems with your service that have caused recurring incidents for your customers. Problems are issues that happen over and over, despite short-term fixes you might have rolled out. Think technical glitches or unclear user interfaces. In Service Desk, you can keep track of these faults to investigate what the underlying problem may be. And once you’ve identified the issue, you can take action to ensure it doesn’t create trouble again. Link incidents to the root cause. 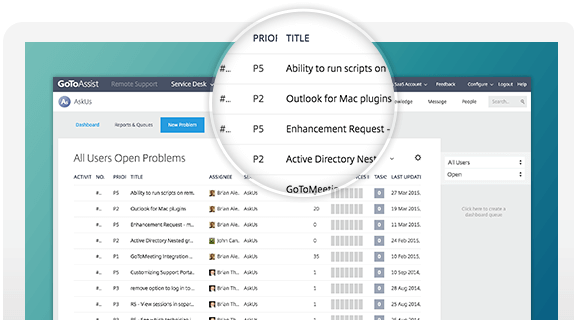 Problem management in Service Desk is designed to work closely with incident management. As you resolve incidents, you can link them directly with a record of the problem, where root causes and workarounds are tracked. In the problem dashboard and reports, you can then find trends over time and see the full scope of the issue. Stop incidents before they start. Incidents tend to pop up unexpectedly, but problems are things you know about. By documenting problems in Service Desk, you can determine the actual issues and work on long-term solutions. Soon enough, you’ll have improved the quality of your service, and you’ll see fewer repeat tickets from customers. Notify those who need to know. Want to keep the team informed of progress on a problem? Service Desk lets you create a watchlist on records for technicians with a vested interest in the solution. Whenever an update is made, the entire list will receive notifications about the change. Plan changes and tests to keep development on budget without compromising quality.